The nautical style has always been one of my favourites. Clean and simple lines, flattering silhouettes, stripe dresses, and sailor shorts exposing nicely tanned legs suit so many of us! 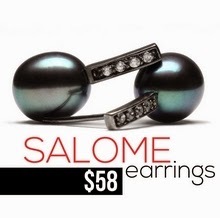 In jewellery, this style has most often been represented by multiple interpretations of rope knots, anchors, and sea shells. But... how many more anchors, tiny boats, or two-toned beads can our jewellery box handle? Inspired by the trend for Summer 2010, we decided to give a different look to nautical jewellery. This time, stripes are being incorporated into the main theme of the piece of jewellery. 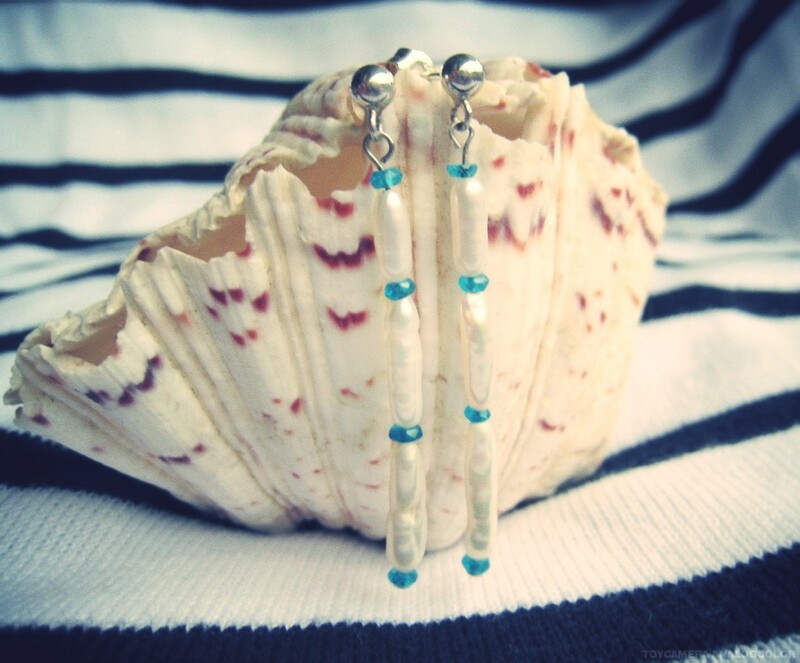 These dangle pearl earrings in silver are adorned with eight blue apatite gemstone beads to imitate our beloved stripes. We named them Ligea, which means "Clear-Toned", after one of the Sirens described in Greek mythology. Denim is back and so are the floral prints. Designers like Ralph Lauren take us back to our careless childhood days and offer authentic and laid-back compositions combining natural-coloured leather, cowboy-like bleached jackets, and frilly, girly dresses. Topped up with a chunky gemstone bracelet and dangle earrings, the proposition for this summer is fresh and touchingly casual.